Cheryl McClorey steps up to the guest blog this week. She recently completed the Peak Leaders Whistler Bike Park Academy 3 week mountain bike coaching course – if you haven’t already, check out Joe, Adzi and Logan’s blog here. After a swift year of planning, saving and explaining to my nearest and dearest what I was getting up to in Whistler for a year, I finally found myself in Vancouver airport. Nervous about my bikes imminent arrival … I shuffled to the baggage area and let out a sigh of relief as my bike bag sat unscathed in the corner! Phew … now I can relax. My companion and fellow bawbag, Mr Sean Wilson, was designated driver, and after countless jaw on floor moments appreciating the sea-to-sky highway backdrop, we pulled up to Alta Vista Chalet. 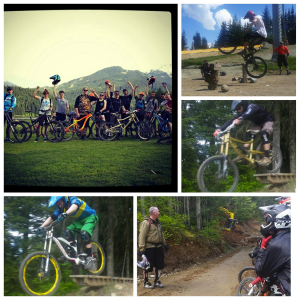 For the next 3 weeks, 19 of us would realise ambitions to become certified Mountain Bike Guides at Whistler Mountain Bike Park. Accommodation included a pimp Alta Lake Mansion courtesy of Bear Back Biking … complete with hot tub, personal chef and more bike mechanics than you can shake a spoke at?! 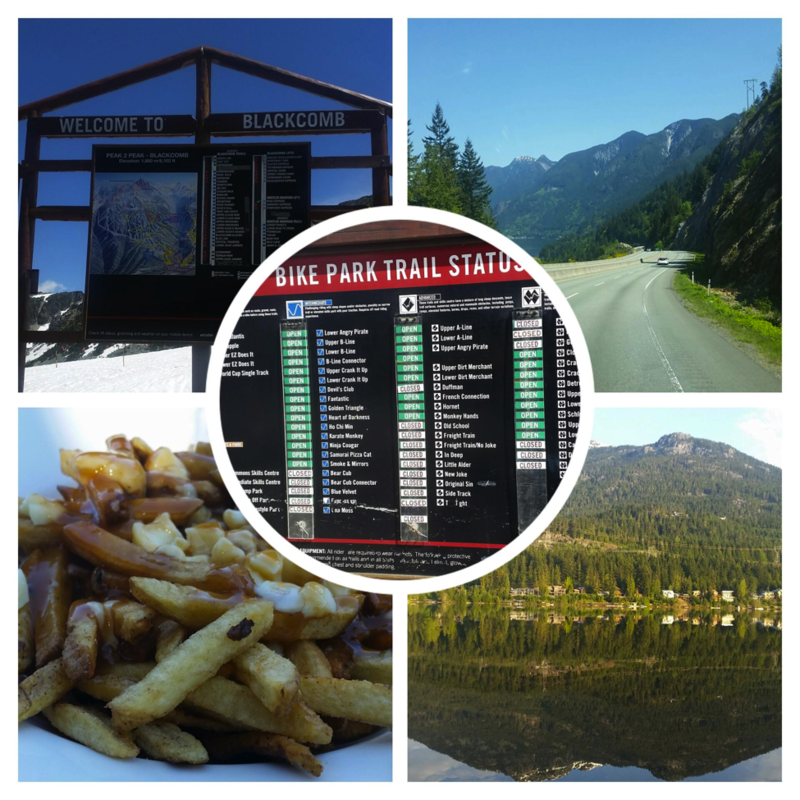 Week 1 saw our introduction to Whistler’s finest bike guides: Mike Johnstone, Tom Radke, Andrew Dahj Purvis, Javier Munoz and Duncan Mainland. Some serious knowledge and skill was on hand on our first evening balcony meet. And that evening it was music to all our ears that the first day would be just riding some trails, having some fun and seeing some insider lines … we were all stoked! We talked over current abilities and split up into three groups to start learning the course material. Facing us was a challenging week of theory and presentation skills. 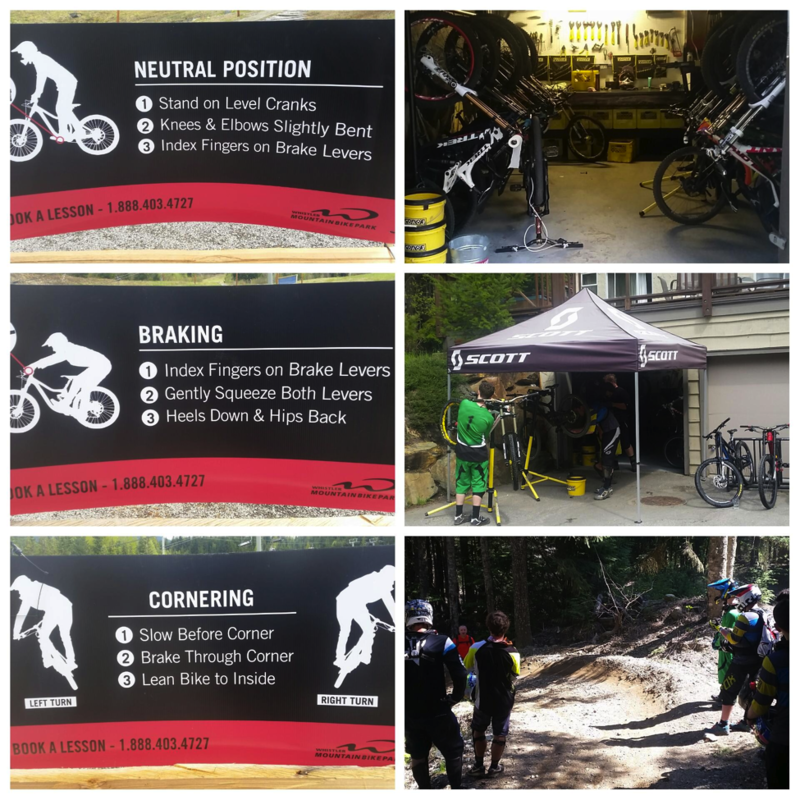 However, by Friday, it would also see all of us become qualified IDP Level 1 Instructors capable of instructing Bike Park 101: an intro clinic tailored for first-time downhill mountain bike park riders … well done Peak Leaders 2015, we did good! Well, if Week 1 didn’t tyre us out (facepalm! ), it certainly reminded us that balancing the course with personal riding was no mean feat. Aside from learning how to be instructors, we also learnt how important certain other things would be for our ongoing development on course: i.e. diet, sleep, water intake, rest and mental strength! Our mentors – Mike, Javi, Duncan and Dahj – previewed IDP Level 2 instruction and told us it would include jump and drop lessons. Each and every one of us had to take our riding down a few levels and learn some new techniques. Although this was met with some reluctance at first. All three groups were hyper with excitement after each session. 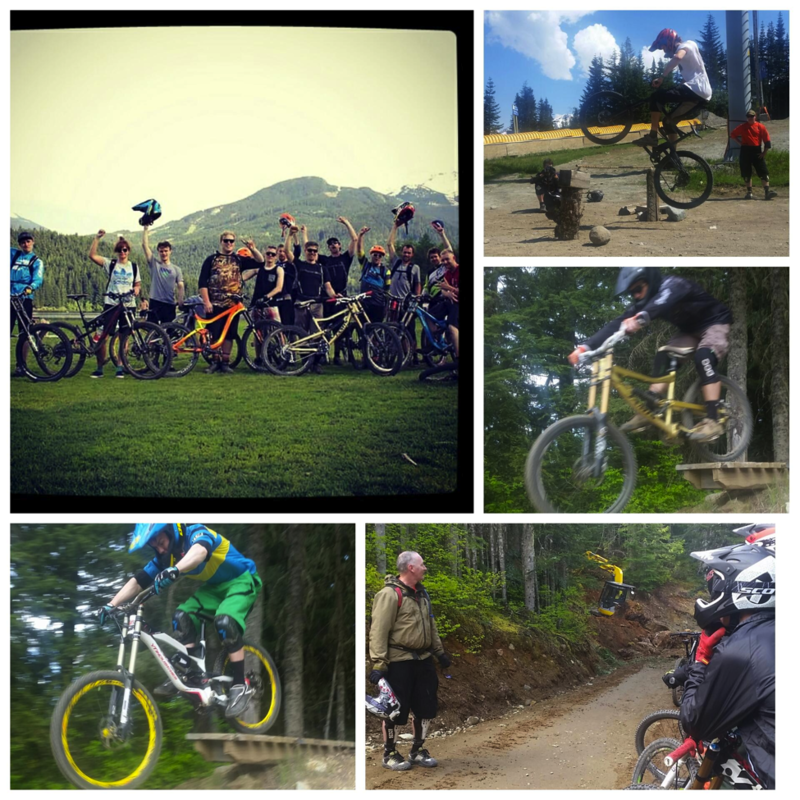 And it was awesome to be a part of and reminded why all of us love riding. The closing week was soon upon us. 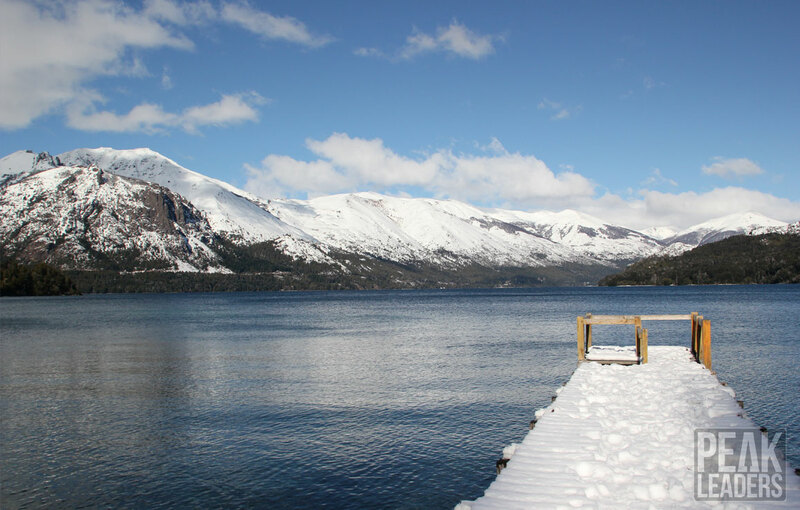 It brought mixed feelings for everyone because it meant the course was nearly over, which also meant no more chalet or personal chef, or all living together under one roof. There was no time for moping though, as we started Week 3 with a bang and jumped straight into IDP level 2 theories and guiding. Unusually hot weather for the season, reaching 30c on some days, had us struggling sometimes to keep up. But hats off to the group, we all persevered and helped each other out. The IDP Level 2 was much more challenging than Level 1. It required us to really hone our coaching skills and be sharp with the “what, how and why” of every movement on the bike … “CROUCH PRESS RELEASE” became our daily mantra – as did early nights so we could recover for the next day’s riding. To let off some steam, one day was dedicated to rider development. 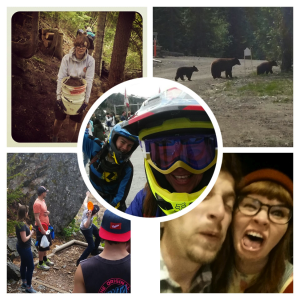 Time to rail down the trails with everything we had learned at the forefront of our minds. 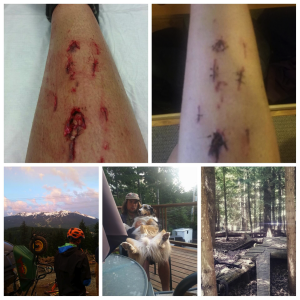 Unfortunately, for me, my week was cut slightly short … after spending some time on the “Gentle Giant” in the Jump practice Zone, I railed it a little too hard and my shin met my fierce Truativ pedal pins … “Gaaaah?! !” could be heard at quite a pitch! I was taken to the clinic, riled with shock that my chances of passing level 2 were over. And after 15 stitches and at least 4 days off the bike, I did indeed miss my IDP Level 2 exam day. Gutted, I spoke to Dahj who encouraged me to chill out for a few days and do it again when I’m better – cuz ya know … I’m here all season! Actually, Dahj went one further, and arranged for me to do the guiding part of my exam on the Sunday, without my bike, as they had seen enough of my demos to pass me on that part. How’s that for kickass support!! There’s so much more I could write about; the bear encounters, the trails, the chalet tandem, trail building, group bonding and the sheer scale of characters living under one roof. Special shout out to Darragh, our Peak Leaders support man on the ground, who looked after us all, whipped us into shape and was basically our fun loving and approachable Dad, we loves ya Darryl! Also can’t thank our mentors enough, for the time and effort. The support was overwhelming, and continues to be, 3 weeks after the course. 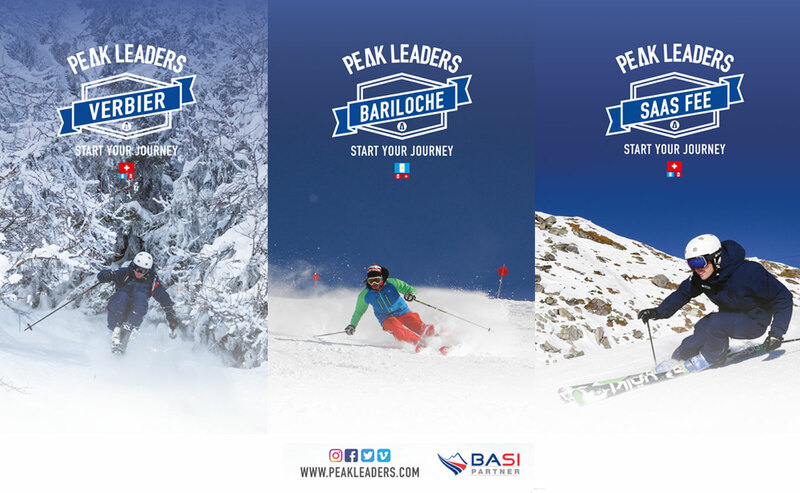 Get yourself on a Peak Leaders course as soon as you can, seriously, start your journey now! Feeling inspired by Cheryl’s story? 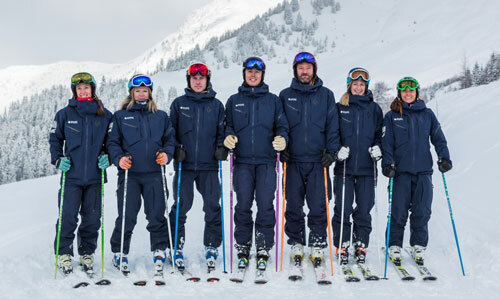 Get in touch and chat with us about our upcoming mountain bike, skiing and snowboarding instructor courses.